The experience of the concert itself cannot be separated from the photos. The photos are a reminder of what was; a method of communicating what the show was like. I can't objectively say, "This is a great photo from a performance I just didn't dig." So, my favourite concert photos may as well be my favourite concerts, or performances of the year. They capture, in image form, something special from a performance that moved me. 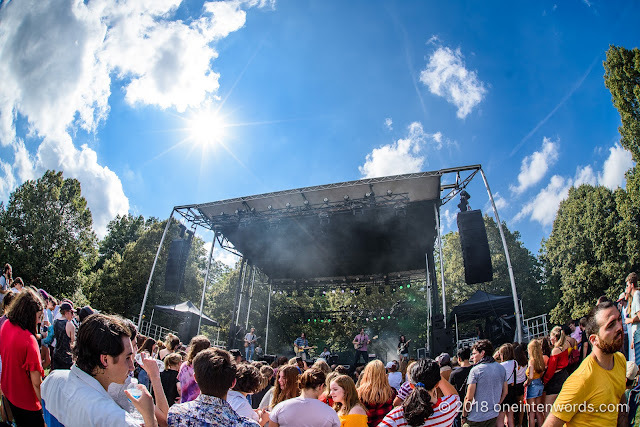 Click through on the venue/festival names for the full posts of photos. 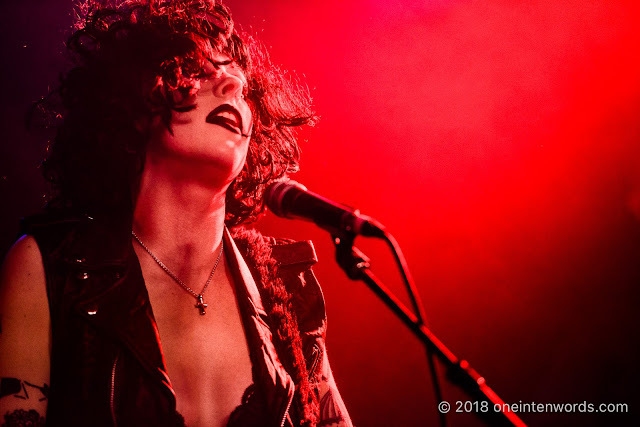 As always, a special thank you to all the wonderful industry people who let me into the festivals and venues to make these photos and take in these shows, and to you for looking at the photos, reading my words, and listening to the music. And if you haven't checked them out yet, follow the links to my Favourite Songs of 2018 and Favourite Albums of 2018 posts. It was a great year for music! 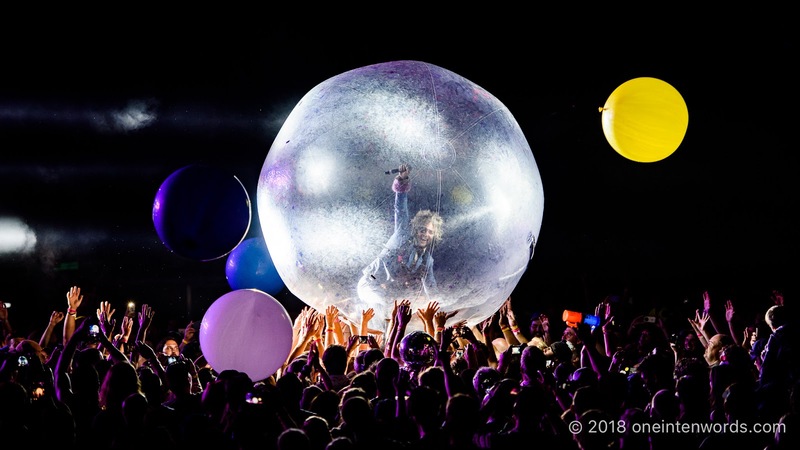 I couldn't be more pleased with this shot of Flaming Lips' Wayne Coyne at Riverfest Elora. After shooting from the pit, I got a good spot to take in the rest of the show. It gave me a perfect spot to capture Wayne Coyne surfing across the crowd in his hamster ball. I love the balloons, the fans' hands and Wayne's pose in the ball. Check out all the rest of my shots from this set here, including the laser hands and an exploding, confetti filled balloon. Woot! 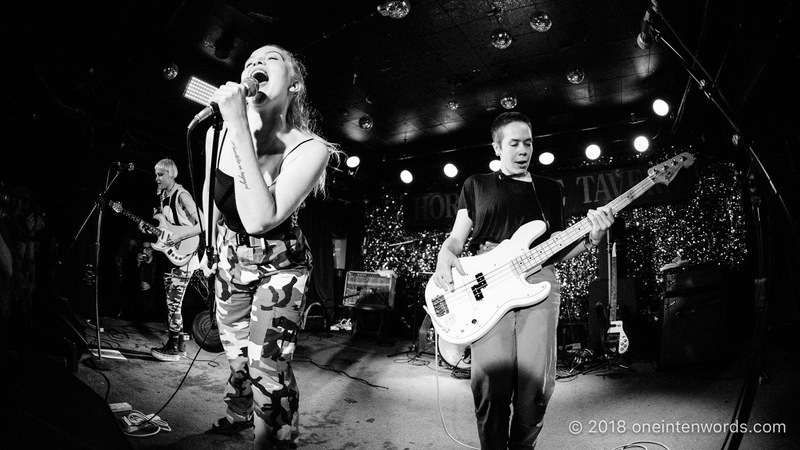 July Talk are one of my favourite live bands. They attract huge crowds and create a frenzy every time they play. I knew going in that this show at The Legendary Horseshoe Tavern for CMW was going to be crazy due to the intimate size of the venue combined with their fans' enthusiasm. This shot captures the band, some of the crowd and the scrum of photographers at the front to capture it all. What a crazy time! Dizzy has become one of my favourite bands with their intimate tunes and Katie Munshaw's unselfconscious and emotive stage presence. 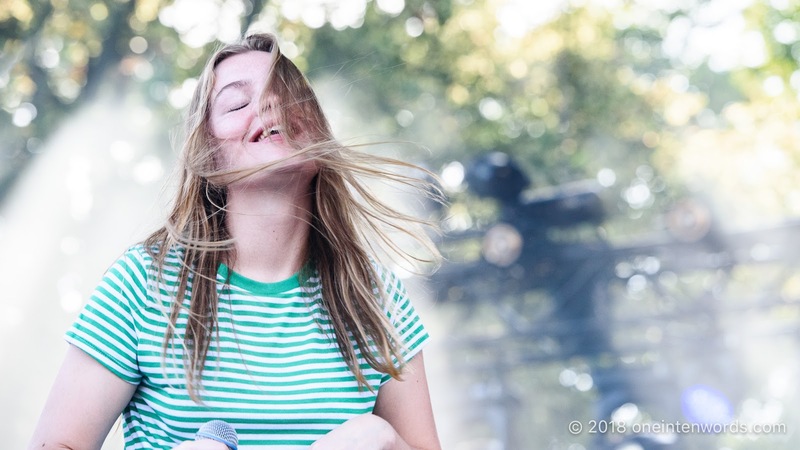 This shot from Field Trip captures the joy of Katie's performance perfectly. 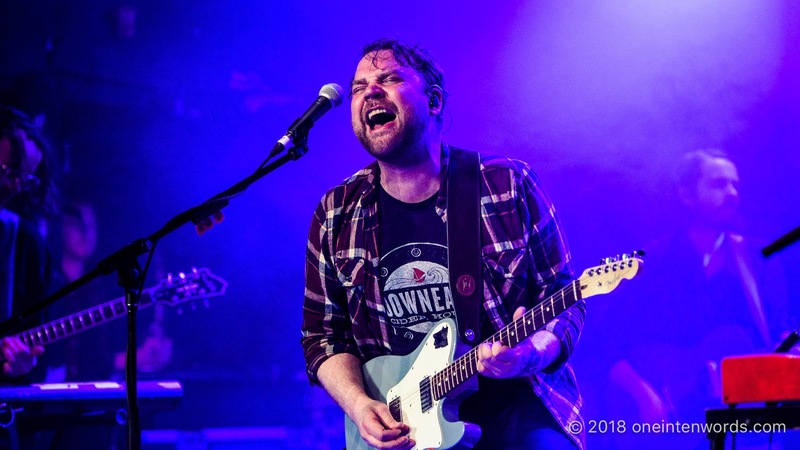 Frightened Rabbit is one of my favourite bands. I love the songs so much. I was so happy to see their performance at The Mod Club celebrating the tenth anniversary of The Midnight Organ Fight. I never thought that it would be my last time ever seeing Scott Hutchison perform. Scott's passing broke my heart for so many reasons. I didn't know him personally, but I'm saddened that his illness caused him to take his life. We need more awareness of mental health issues and need more help so that people like Scott get the help they need to live another day and help others. I'd never seen Yeah Yeah Yeahs perform live until Field Trip. I loved their show and loved them again at Osheaga. This shot of Karen O typifies their performance and the spectacle they put on while playing such amazing tunes. One of my favourite bands: Chvrches. One of my favourite venues: The Danforth Music Hall. And one of my favourite lenses: the fisheye. What more can I say? 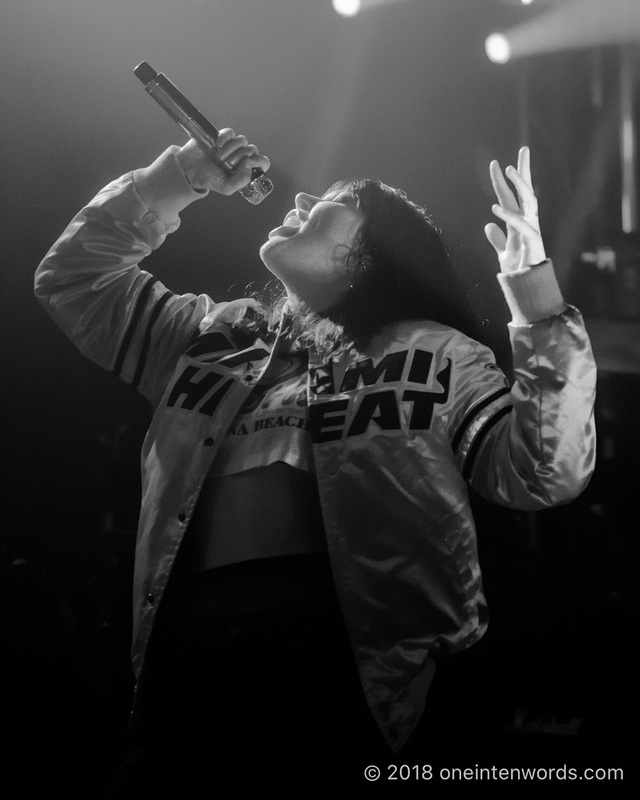 A very early 2018 show by Alexis Krauss and the rest of Sleigh Bells at The Mod Club yielded this shot. It took quite a bit of post-processing but I love how it turned out. The band always puts on a high-energy show and I just love their music. Pale Waves puts on a polished show and Heather Baron-Gracie delivers some awesome stage moves. I liked this one from their show at The Velvet Underground. 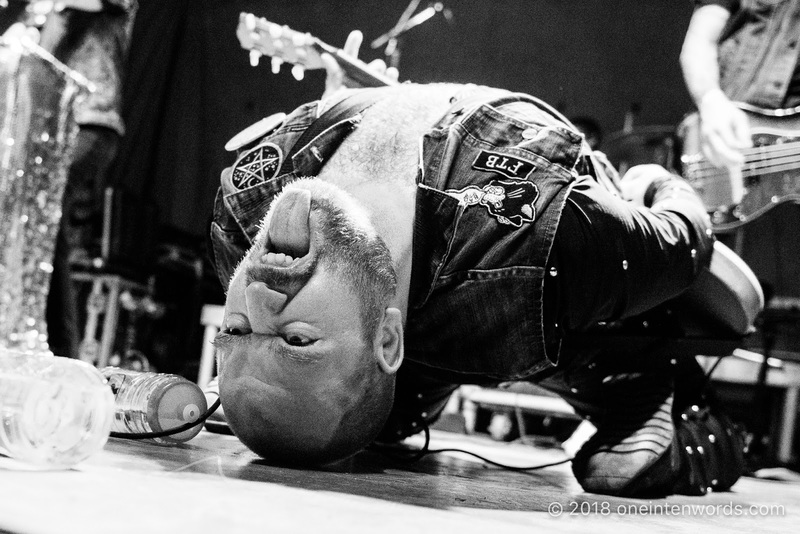 At this year's Riverfest Elora, Sam Coffey and The Iron Lungs became my new favourite band. Their songs are amazing, their energy infectious and their Sam's stage presence unparalleled. And I love that I got this shot. 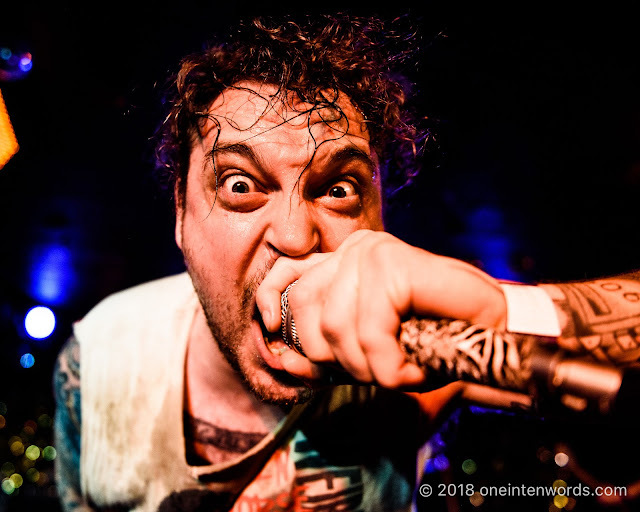 Brutal Youth put on a gigantically intense show at The Horseshoe Tavern ahead of The Creepshow's headlining set. I love this shot, capturing the power of the performance. Dream Wife has to get recognition as a band that absolutely blew my mind with the power of their performance. 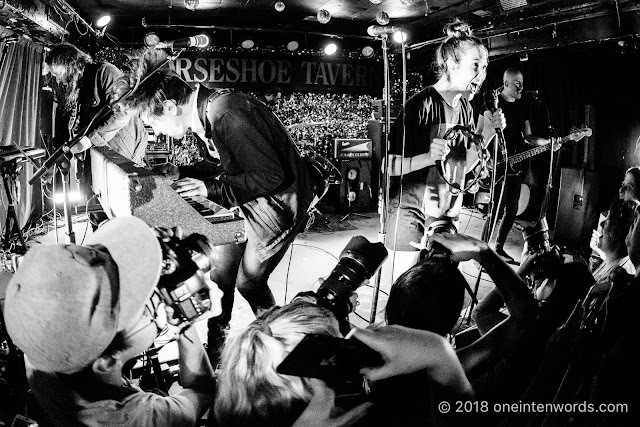 They may have been warming up The Horseshoe Tavern crowd for Sunflower Bean, but they made sure not one person in attendance would forget about them. Incredible. 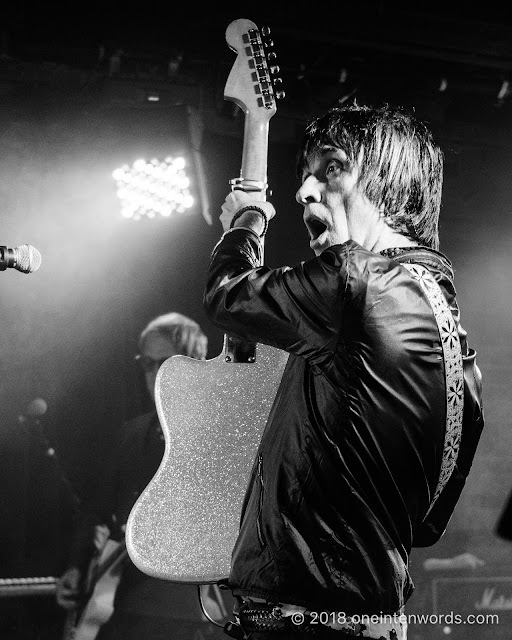 I got to see Johnny Marr twice in 2018. This shot is from the intimate first show at The Velvet Underground. I felt so lucky to be there and to capture this absolute legend of alternative music, songwriting and guitar playing in action. Wow. 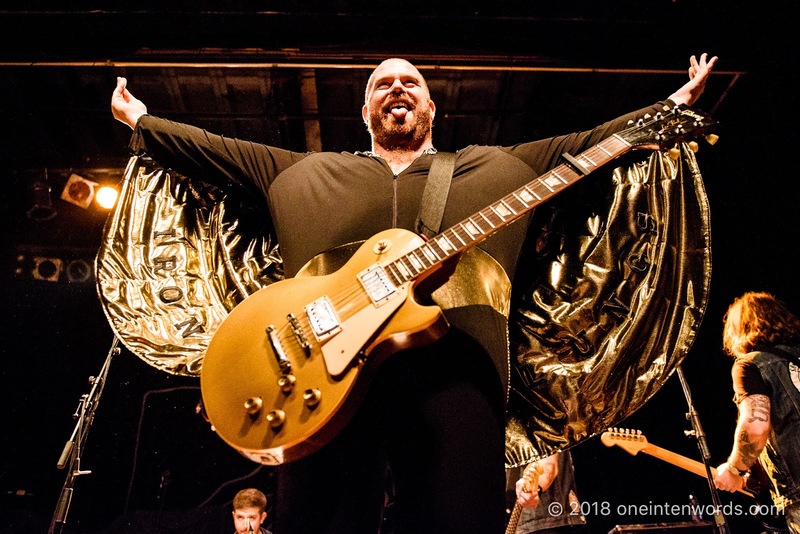 His performance later in the year at The Phoenix Concert Theatre was amazing as well. 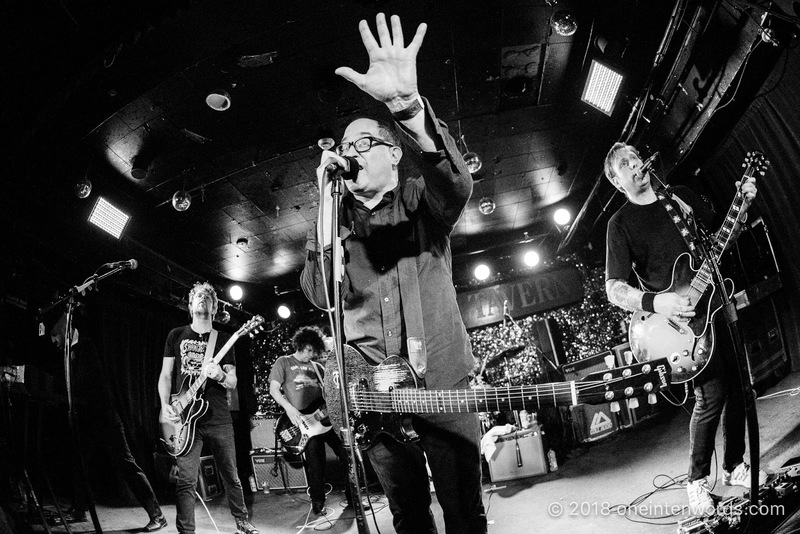 The Hold Steady are one of my favourite bands and put on an incredible live show, thanks in large part to their enthusiastic and dedicated fans. This year, I went to all four nights of their four-night stand at The Legendary Horseshoe Tavern. I only brought my camera on the first night and this is one of my favourite shots. Once again, the fisheye comes into service to capture the whole band on stage. 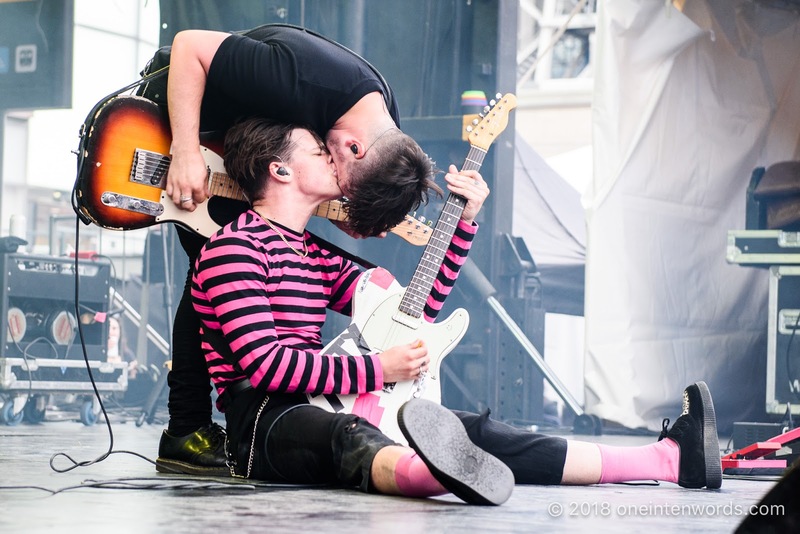 Yungblud blew my mind with his energy at his NXNE performance at Yonge-Dundas Square. He was hard to keep up with and he provided so many amazing photo opportunities. I just love this moment in particular. The next time I saw him, he had a broken leg, but still put on a manic performance at The Rivoli. The legalization of cannabis in Canada was a momentous occasion as we became the second country on the planet to legalize recreational cannabis. 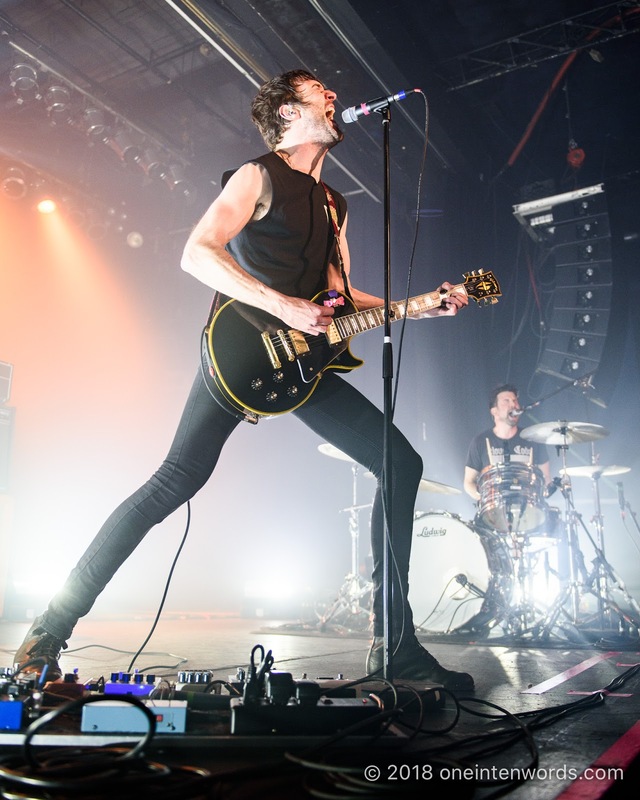 Local radio station Indie 88 put on a party at The Phoenix Concert Theatre to celebrate and Japandroids headlined. They're one of my favourite bands, they put on a great show and I got both of them in this photo! The rest of my pics are here. This year, photographer Brad Goldstein started contributing to One In Ten Words. 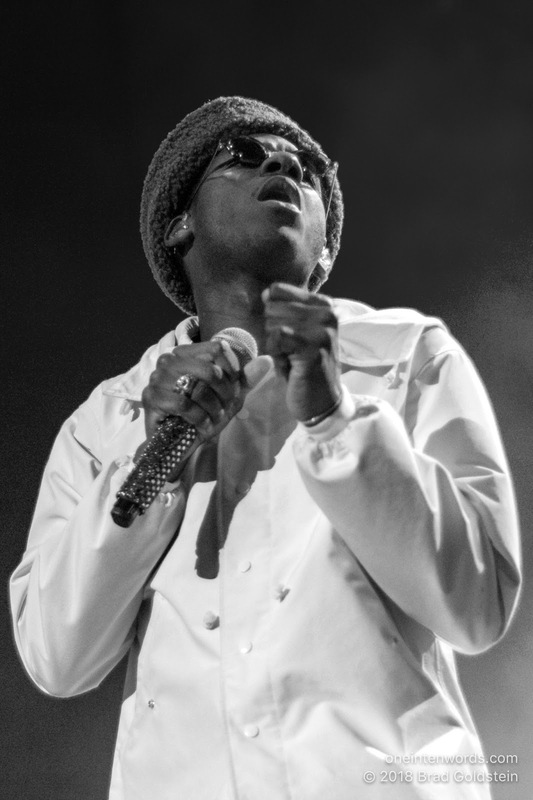 His shots are fantastic, but this shot of Leon Bridges at Echo Beach stands out. I look forward to more of Brad's contributions in 2019. 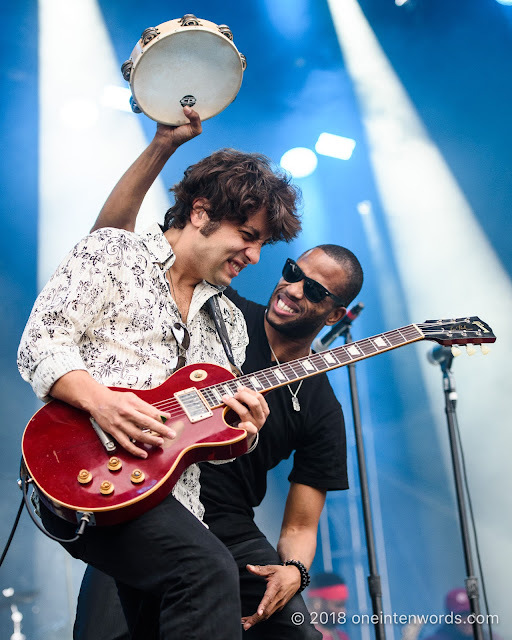 Trombone Shorty and Orleans Avenue were a huge highlight of Field Trip this summer. I love this shot for the interaction between the band members and how that tambourine kind of becomes a halo. 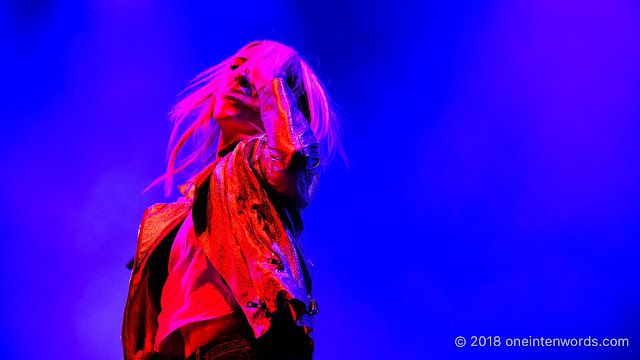 The colours, the motion, the intensity of this shot sums up a Metric live show. I captured the band as they returned after some time away with a great set at Field Trip. Dizzy is the other act that made it onto this list with two photos. This one is from their incredible performance at Royal Mountain Records Festival at The Royal Botanical Gardens' Arboretum in Hamilton. The way the sun shines through the stage smoke and the natural backdrop of trees, along with Katie's unbridled joy and enthusiasm make this one of my favourite shots. I remember being really tired by the end of the first day of Hillside. I dug deep to walk all the way to the stage that Cadence Weapon was performing on. But the shots I was able to get of his performance made it worth it. Here's my favourite from that set. Check out that fierce determination on his face. 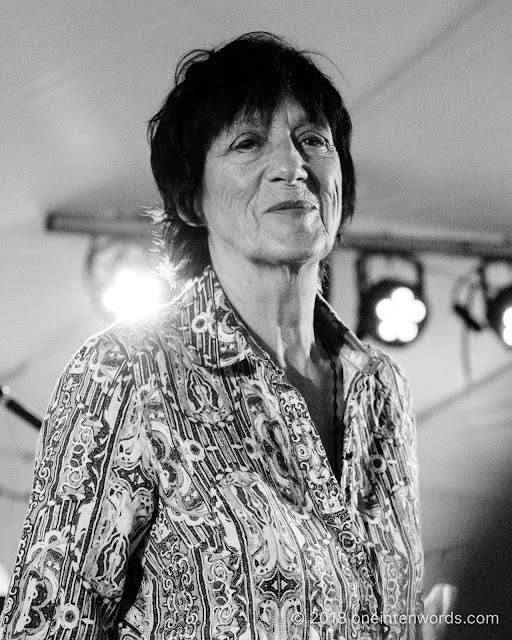 Carole Pope is an inspiration; for the music she made, for the battles she fought, for being badass and courageous and bold and confident and trailblazing and empowering. So many people would not be able to live the lives that they can today without people like Carole putting up with and fighting through adversity that no one should have to endure. And the music that Carole made with Rough Trade made a strong impression on me from a very young age. 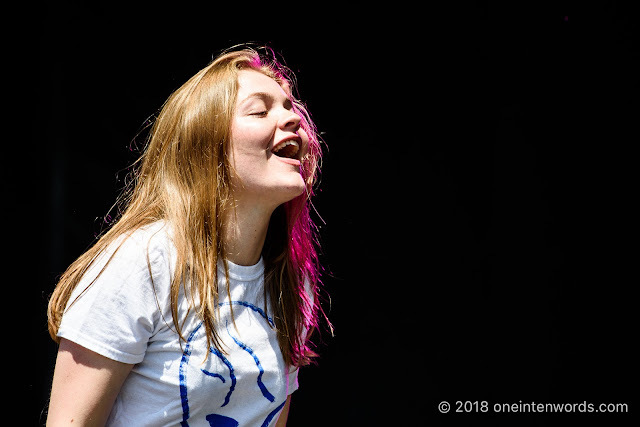 It was an honour to witness her performance at Riverfest Elora and to capture these photos. Special thanks to the wonderful people who let me interrupt their view so I could capture these images. Barns Courtney puts on a crowd-pleasing performance. I love the way this captures Barns surfing The Danforth Music Hall crowd as he and his band heated things up for The Wombats. Calpurnia is one of the biggest breakthrough bands of 2018. 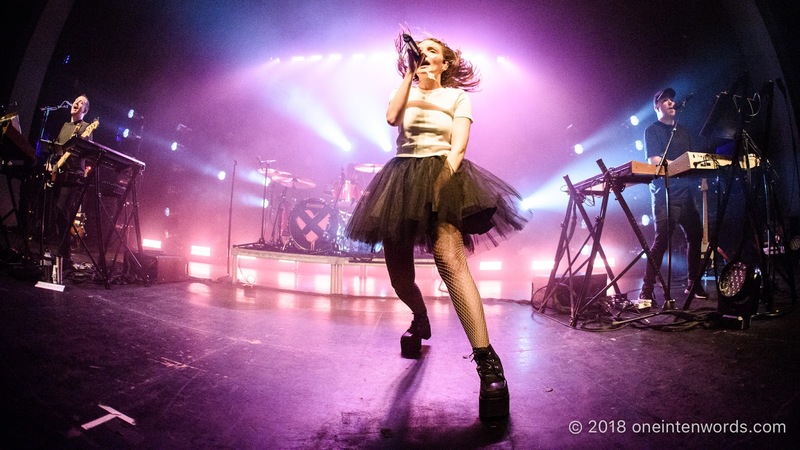 I saw them perform three times and photographed them twice; first at Royal Mountain Records Festival and then at The Phoenix Concert Theatre. Great band; great tunes; great people. 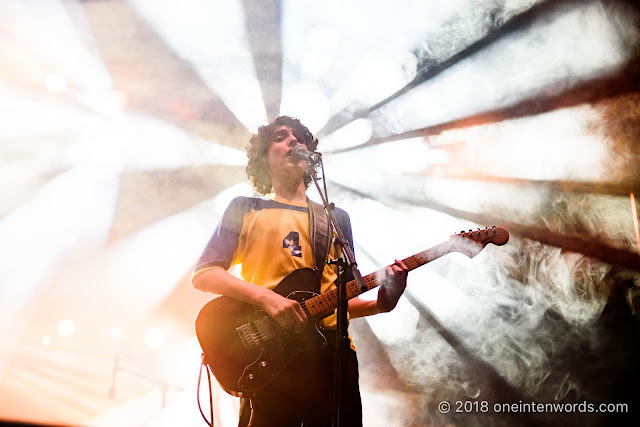 Thanks to the band for sharing my photos, special thanks to Finn: really glad you liked the photo and shared it, and thanks to Calpurnia’s fans for following and liking so many of my shots this year. Stick around for all the great music I’ll continue to capture in photos. 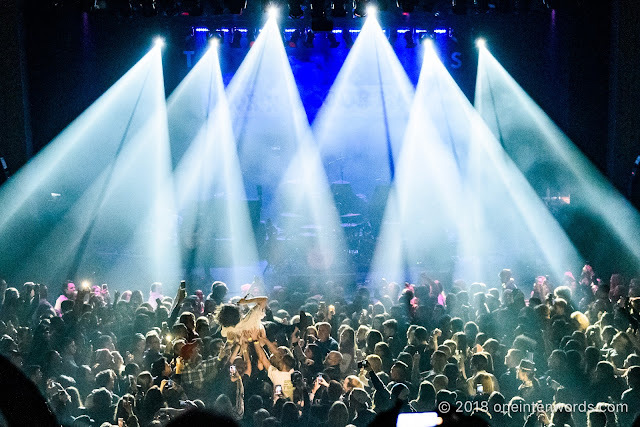 The ambience at a festival or concert does a lot to contribute to the experience. The setting for Royal Mountain Records Festival at The Royal Botanical Gardens' Arboretum in Hamilton was so idillic; the wide open space, so perfectly surrounded by mature trees and the fact that they left the back of the stage open to that natural backdrop, left a solid and positive impression on me. This post has links to every performer from that magical day. I can't wait for more festivals on this beautiful site.